I love packing. Whether it’s for a short UK mini break or a two week holiday abroad, I love getting organised for a good journey somewhere. Everything from podcast obsessions to moisture keeping make-up and cosy ponchos, here are my travel essentials. #Girlboss radio is a favourite podcast that gets me through most journeys. Hosted by founder of US clothing brand Nasty Gal, Sophia Amoruso interviews inspiration women, colleagues and friends who she considers to be ‘girl bosses’. It’s funny, interesting and quirky – each episode teaches me something new. I’m also loving The High Low by Dolly Alderton & Pandora Sykes and Clt Alt Delete by Emma Gannon, and of course Desert Island Discs – Marian Keyes latest one is a must-listen. These Kreafunk headphones are a wish list item, discovered in the gorgeous shop Skandium last time I was in South Kensington. They are padded and super comfortable, and crucially wireless, meaning they won’t get tangled up when you have to take jackets and scarves off going through airport security. The perfect travel accessory, these Aspinal Passport Covers look fab and will keep your passport from getting all dog-eared. 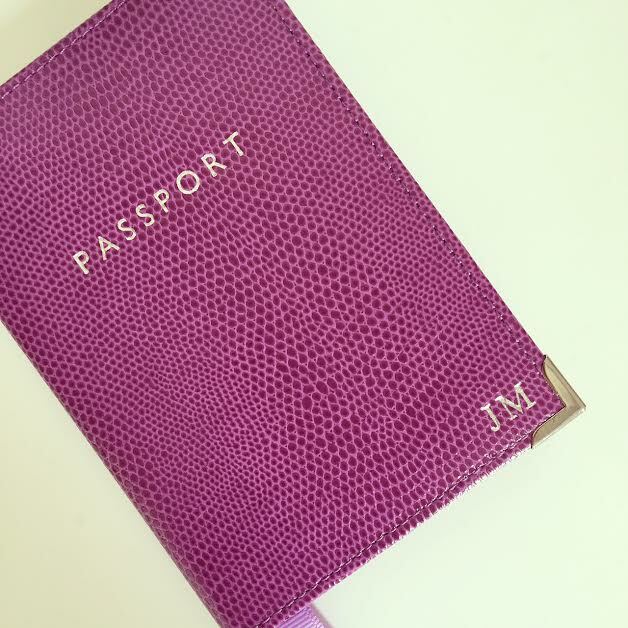 Thanks to the fun, bright colours you can choose from, it makes your passport easy to find in your handbag. Plus, you can get initials engraved in gold or silver in the corner. This trip is the first time I’m using my new passport with my new passport cover initials – so excited – it’s the small things! The perfect bag for your suitcase as it packs away to almost nothing. I’m rarely without my longchamp bag, I have a small tote in ‘red garance’ and this large blue one. They are cute and smart for city breaks, but ask also incredibly roomie and relaxed for beach holidays. ‘Luxury trainers’ are all the rage just now, but I’m pleased to say I’ve had my Toms Avalon slip-ons for years – it’s not often I’m ahead of the a trend. They are one of the comfiest pairs of shoes I own. Great to slip on at the end of a long day, and perfect for marching around a new city. When I bought them two summers ago they only had black or pale pink leather available, but now they have a whole page of funky designs and materials. The limited edition Molton Brown Gingerlily hand cream is not just a travel essential, but a handbag essential too. It smells absolutely delicious and keeps your hands soft and moisturised without feeling sticky or greasy. I don’t go anywhere without this one. 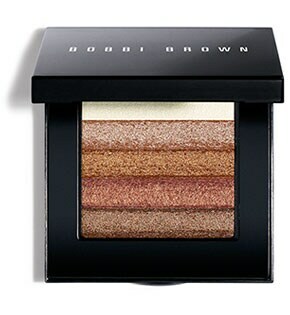 The Bobbi Brown shimmer brick is perfect for summer. A couple of brushes across your cheekbones will give you a much-needed glow after sitting on planes or trains. It’s also really versatile, helping you to pack light. I use the gold and brown shades as eye shadow, and the white and cream parts as eyebrow highlighter. These chubby sticks are a great way to add moisture and colour to your lips after a long flight. More like a lip balm, they are packed with moisture and you can apply it whilst on the move. 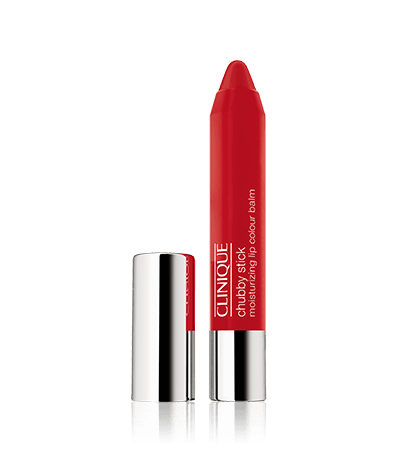 As the colour isn’t quite as strong, described by Clinique as ‘sheer’, you don’t need the same precision as a bright red matt lipstick requires! Go for the ‘two ton tomato’ shade and you can still achieve a really good, red lip colour. These White Company cashmere bed socks are perfect for keeping in your handbag for long flights. A pet hate of mine, especially in the summer months, is when you only have a little pair of pumps on for travelling and the air con is blasting out, freezing off my little toes. These jigsaw ponchos are brilliant for just throwing on, it doesn’t matter what you’re wearing underneath. They look great with jeans and they work well over dresses and skirts. They are incredibly soft, a blend of wool and cashmere, and will keep you comfortable and cosy whilst on any flight or train journey. I’ve love my khaki coloured one, and am lusting after the light blue ‘seafoam’ shade for summer. 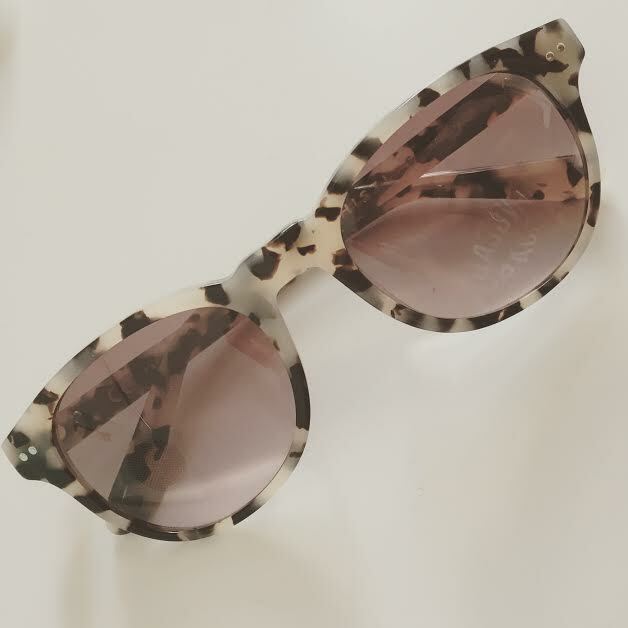 Finally, thanks to the better weather, my Whistles sunnies are becoming a staple wardrobe accessory and are definitely coming with me to London this week. Is there something I’m missing? Let me know. In the meantime, happy travels.